Though between fly fishing, guiding, writing trout books and other adventures I have very little time to tie my own flies and only tie those I cannot get elsewhere, I’ve had a pleasure to fish with, and get to know some of the best fly tiers around, people like Marc Petitjean, Stu Tripney, Brendan Shields, David Murray-Orr, and recently Stu Foxall who spearheads the LOOP AKADEMI fly tying team and is helping with our chinook project. 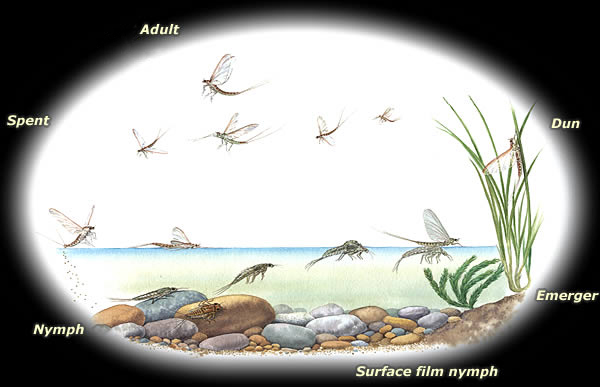 Refresh your memory of the most common trout food and their life cycles. 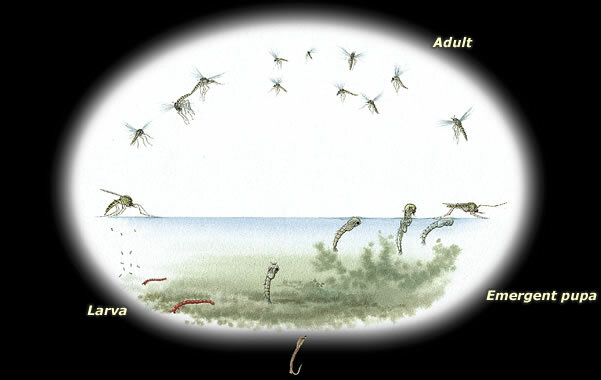 These diagrams are courtesy of my good friend and fly tier extraordinaire Marc Petitjean. Marc’s CDC flies are some of the best ones I’ve ever used and his innovative tools and designs have inspired much of our own tying. 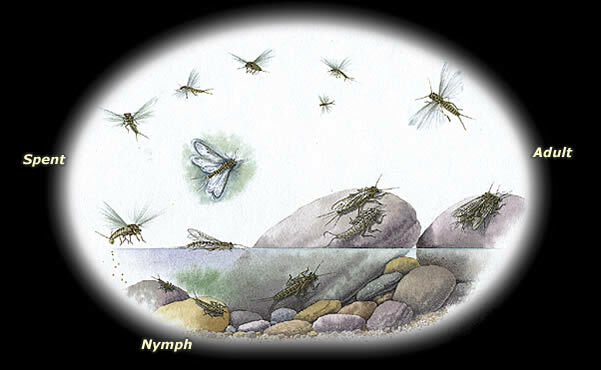 So here we go, beginning with the mayflies, may they hatch for you wherever you are! 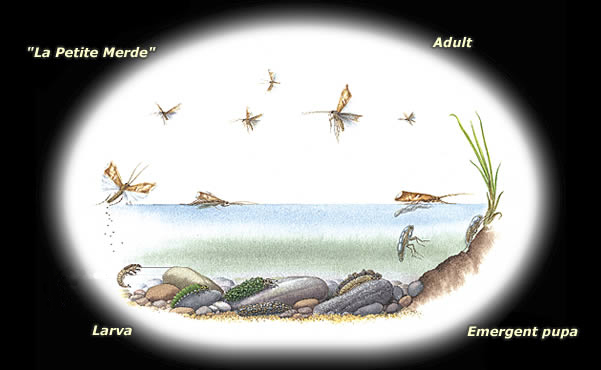 You can get Marc’s flies matching all these life stages, and his funky and innovative tools in his online shop here.